Today, three different audio tours lead through the exhibitions as well as through the outdoor area. Accompanying the exhibitions, the audio tours offer in-depth explanations, e.g. individual object stories and background information on historical photographs. At many stations, what is shown is linked with the experiences and biographies of former forced labourers. Visitors can also use the multimedia guide to explore the surroundings of the documentation centre. The one-hour tour of the grounds leads across the outside area and the surrounding streets to the Schöneweider Spree bank. 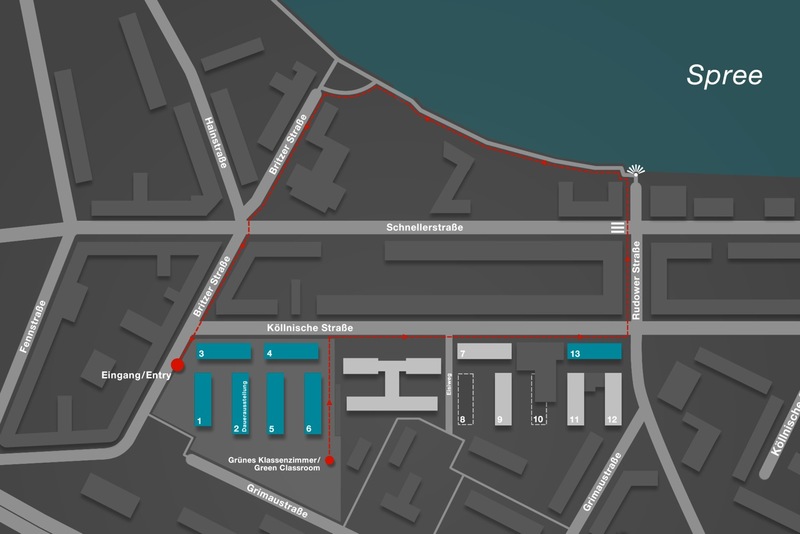 At ten locations, the multimedia guide explains the history of the historical site and forced labour with the help of sound and images. Both offerings are available in German, English, French, Dutch, Spanish, Italian, Russian, Polish, Turkish and easy German language. 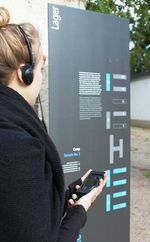 The multimedia guide audio tour was supported by the Federal Government Commissioner for Culture and the Media on the basis of a resolution passed by the German Bundestag and by the Stiftung Deutsche Klassenlotterie Berlin.